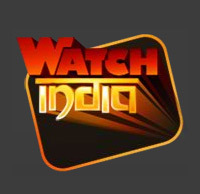 Watch India, launched in 2007 specializes in Internet Broadcasting and offers high quality television-like experience over the Internet to large Indian communities scattered around the world. Watch India brings the most popular Indian channels live, successfully imitating the traditional Indian TV, viewed by residents of India. With viewers from a great many countries, Watch India keeps on reinventing itself by constantly expanding its services and adding more channels for online subscription to the already existing ones: Zee TV, Times Now, Zoom, Aastha, IOL Movie Channel, Zee Sports. Watch India offers channels on a monthly and annual subscription basis. It also provides a free trial period for its potential customers, allowing them to have a look at all the shows and services offered. Further down the line, Watch India will create more popular bundle packages that will offer the target audience an exciting and varied online TV experience. Visit WatchIndia.com to learn more.